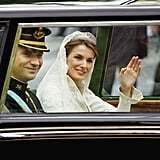 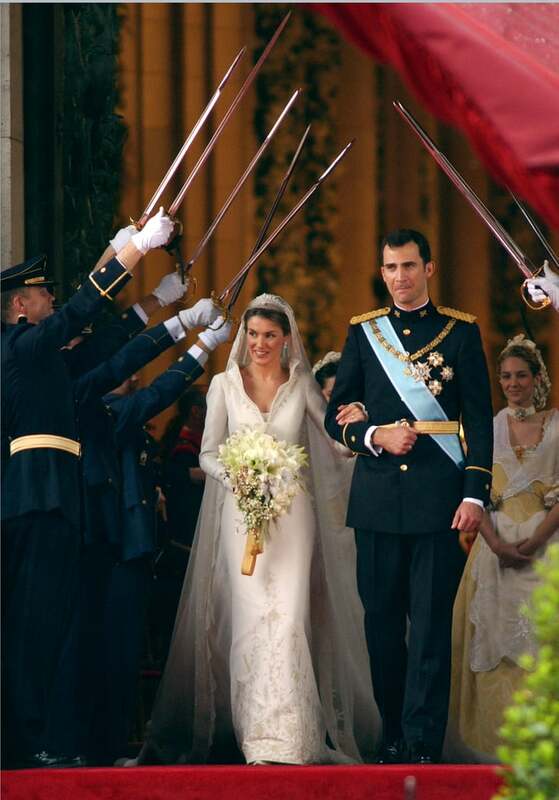 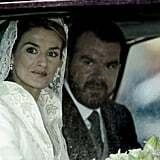 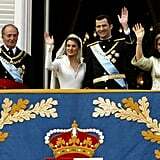 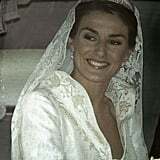 On May 22, 2004, we were glued to our television, hoping to get a glimpse of Letizia Ortiz, now the queen of Spain, in her gorgeous wedding gown. 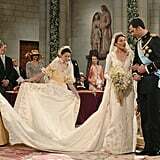 Even in our craziest Disney-princess-inspired dreams, we could have never imagined the stunning silk-woven dress and 15-foot train designed by couturier Manuel Pertegaz. 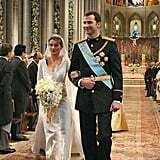 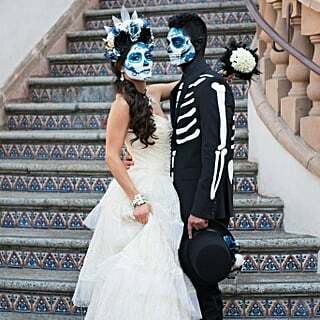 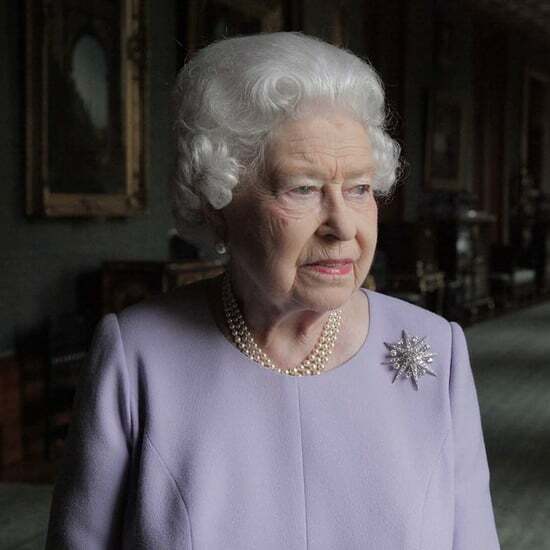 The way it wrapped the stylish bride's slim body and moved as she walked down the aisle to meet then-Prince Felipe VI at the altar left us in awe. 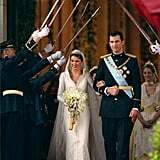 Fourteen years later, we're not over that moment and often find ourselves looking back at photos of the big day when the oh-so-in-love royals tied the knot at the Cathedral Santa María la Real de la Almudena in Madrid, Spain. 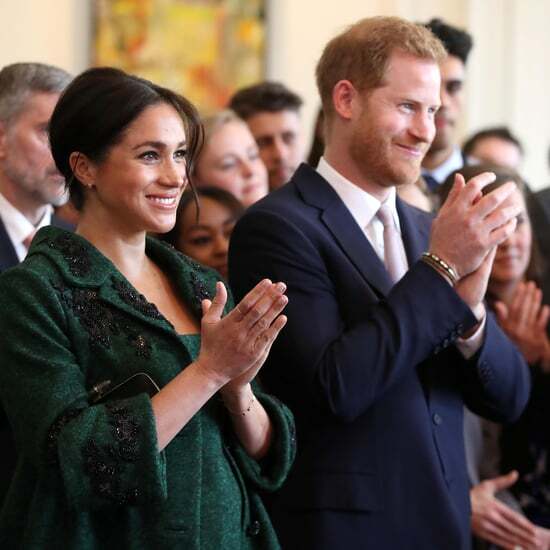 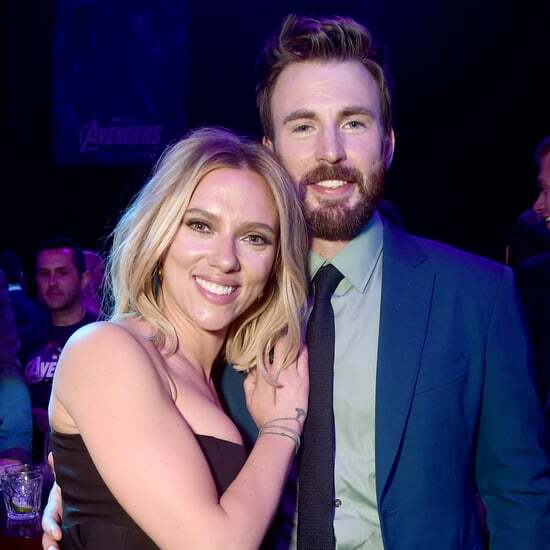 Now, you can do the same — just keep scrolling to relive the event.